Did you promise yourself you’d start exercising this year? Did you join a gym? Did you promise to be a better person or get a new job? Those are all pretty common resolutions, but if you’re a divorced parent, why not make some resolutions that will benefit the most important people in our lives? 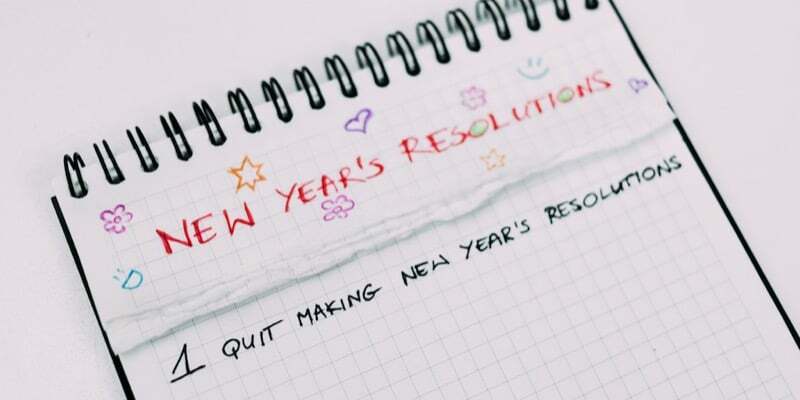 Here are a few suggestions for New Years Resolutions based on some of the things I’ve seen in my years of being a divorce lawyer. 1. I will remind my children that they are loved. It’s critical that you tell your children that you and your ex both love them. It’s common for kids to think they did something wrong that may have caused your divorce. Reassure them that they had nothing to do with it and that both of their parents will always love them. 2. I will let my children express their feelings, no matter what those feelings are. Kids need time to mourn after a split and they may not express themselves the way that adults do. Encourage them to express their feelings and to be honest about how they feel. Try to avoid saying things like, “Everything happens for a reason” or “It’s better this way.” That just tells them that you don’t really want to deal with their unhappiness. It’s ok and perfectly normal for them to feel sad. 3. I will be consistent. Life can be hectic after a divorce, but kids need routine and consistency when they’re dealing with a major change in their life. Try to minimize unnecessary changes such as moving to a new home or starting a new school. Try not to disrupt their daily routines or change a lot of their relationships. 4. I will ask for help from others. You and your children are going through a difficult time. Family and close friends will provide support if you ask. You don’t have to shoulder this burden on your own. If you or your children need it, don’t hesitate to find a good therapist. Someone that is trained to deal with complex emotional issues can be incredibly helpful. 5. I will respect my children. This may sound obvious, but I’m talking about respecting the fact that your child wants to have a relationship with both parents. It doesn’t matter what your relationship is with your ex, they are still a parent to your child. Let your child know that you want them to have a good relationship with both parents. Don’t belittle your ex or act bitter towards them in front of your child. That can make your child defensive, can make them feel guilty and can potentially damage their self-worth. 6. I will not ask my children take on roles or responsibilities that they shouldn’t. Your kids will probably see and communicate with your ex more than you do. Don’t use them as a messenger. “Tell your father he’s late with the child support” or “Tell your mother I can’t pick you up after school on Friday.” Communicate with your ex directly or use some other third party instead of getting your children involved. Don’t try to pry information out of your child about what’s going on at the other house. They’re not a spy. Never use your child as a pawn to try and hurt the other parent. It makes you look awful and does a lot of harm to your child. 7. I will try to make transitions peaceful. Exchanges are not the place to air your grievances with your ex. Smile when you tell your kids goodbye. Let them know you’re happy that they’re getting to spend time with the other parent. It’s just as important to give them the right “welcome home” message. If you’re not sure how to handle it, just pretend they’re coming home from a friend’s house. 8. I will give my child credit. Going through a divorce as a child is tough. Tell your kids they are doing a great job and let them know you appreciate their efforts. 9. I will not forget my own needs. Divorces are stressful, painful and they can be exhausting. Take the time to do things you enjoy and allow yourself time to relax. It will help you be a better parent to your children. 10. I will take time to appreciate the good things. Do your best to set the negative feelings aside. Focus on building a new life and appreciate the fact that your children are loved and that they love you.